In 1673, after the French explorers Marquette and Joliet came down the Mississippi River from Quebec, France claimed all the land in what is now Southern Illinois and called it the Illinois Country. French settlements, that began as trading posts or missionaries, became towns. Examples of such towns are Kaskaskia, established in 1703, Cahokia, settled in 1699, and Prairie du Rocher, settled in 1722 as a farming community to support the nearby Fort de Chartres. Evidence of the French influences still survive in the area today. 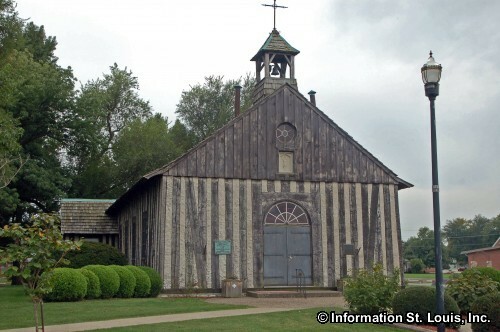 In Cahokia, the Historic Holy Family Log Church, built in 1799 after the first church burned, is located on the site of the second oldest parish in the state of Illinois that was established by French missionaries in 1699. The Historic Cahokia Courthouse is also located in Cahokia and was built in 1740 and is today one of the few examples of French Creole architecture to survive in the United States. 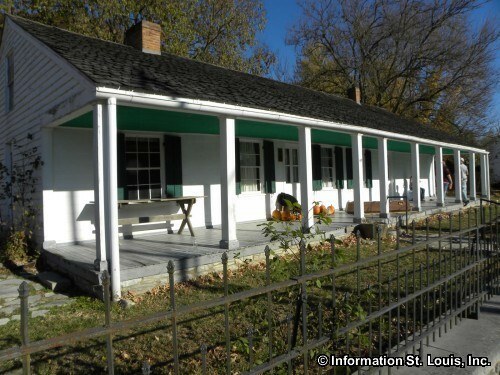 The Martin-Boismenue House, another example of French Creole architecture, was built in 1790 by Pierre Martin near Cahokia and is considered one of the oldest residences in the state of Illinois. Fort Kaskaskia State Historic Site is the location of the remains of Fort Kaskaskia, built by the French in 1759 to defend the town of Kaskaskia. 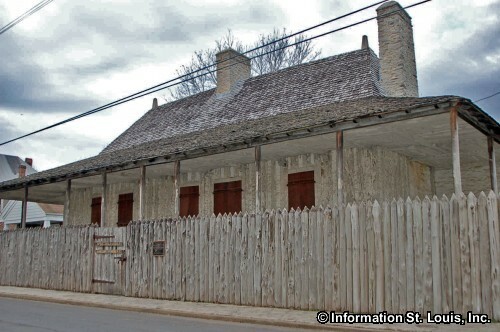 And the Creole House, located in Prairie du Rocher, built about 1800. The founder of St. Louis, Pierre Laclede, a Frenchman, came up the Mississippi River from New Orleans in 1763 to set up a trading post for the Louisiana Fur Company along the west bank of Mississippi River, in the French held Louisiana Territory. He chose a site that was twelve miles south of the confluence of the Missouri and Mississippi Rivers. 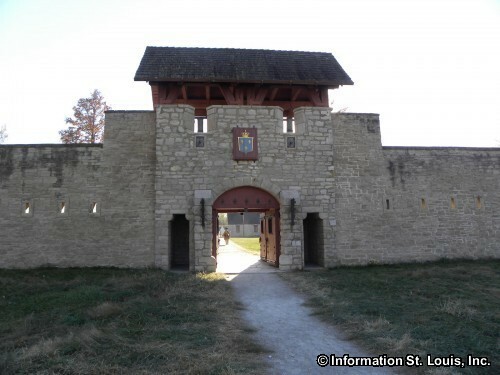 Having arrived in November, he was given permission to store his supplies over the winter at Fort du Chartres, a French fortification located on the east bank of the Mississippi, in the French held territory called the Illinois Country, near the present day town of Prairie du Rocher. During the winter, Laclede convinced many of the French residents in Cahokia and Kaskaskia to come to his new post on the other side of the Mississippi River. The first settlers of St. Louis were fur trappers and traders, hunters, merchants and a small number of soldiers. Those French settlers from the Illinois Country who wanted to continue to be farmers moved across the river to Sainte Genevieve, which had been settled by the French decades earlier in 1735. Today Sainte Genevieve has a large National Historic Landmark District which includes the Louis Bolduc House that was built in the early 1790's in the French Creole architectural style and the Felix Valle House that was built in 1818 out of Missouri Limestone in the Federal style of architecture. Other farming communities were established closer to St. Louis. One of them, Carondelet, was founded in 1767 and is located several miles south of the St. Louis trading post which was fast becoming a village. Another group of French farmers settle 20 miles to the northwest of St. Louis in the rich and fertile Valley of Florissant, known as "Fleurissant" by the French. To the Spanish, who later took control of the Louisiana Territory, the area was know as "St. Ferdinand", named for the Catholic church that was located there. 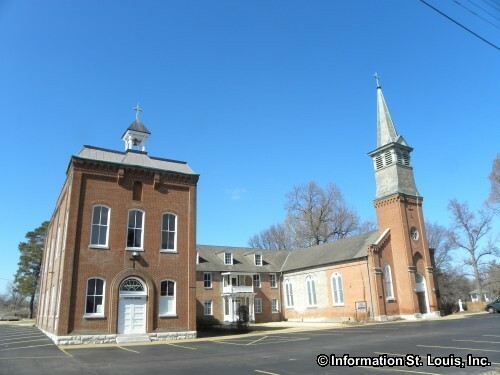 St. Ferdinand was the first Catholic church west of the Mississippi River and the Old St. Ferdinand Shrine is located today on the same spot as that first church. 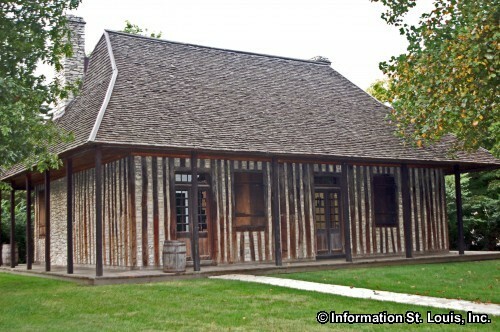 In 1764, Laclede named his trading post turned village, St. Louis, after King Louis IX of France. He began to lay out the streets in a gridiron pattern, much like other French colonial cities, and also set aside one block for a church to be built. 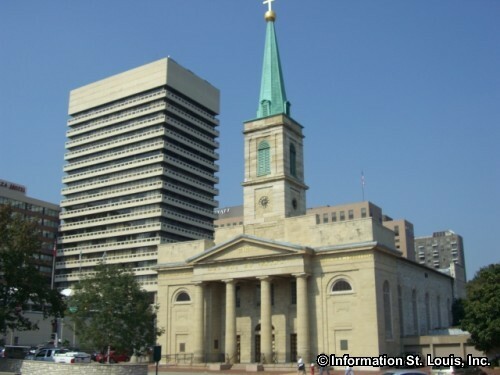 This block, dedicated in 1770, is the location of "the Basilica of St. Louis, King of France," built in 1834 and better known as the "Old Cathedral" located downtown on what is now the Arch grounds. The Old Cathedral is all that is left of the original French city plat laid out by Laclede. The French, and later the Spanish, shared the same Catholic religion and the first churches, and eventually the first schools, in the area were established and run by Catholic priests and nuns.